Madlion Johnson, 97, of Overland Park, Kansas, passed away on Thursday, September 13, 2018. Madlion was born on July 7, 1921 in Omaha, Nebraska as Madlon Irving Harrington, daughter of Irving Harrington and Cecelia Lanning, both of Denison, Iowa. Her childhood, in Northeast Nebraska (Norfolk and Wayne) was spent with her mother and stepfather Floyd McCluskey, and her younger brother Harold McCluskey. The family later moved to the area around Alta and Storm Lake, Iowa, where Madlion graduated from high school in 1939. In 1940, Madlion briefly went into nursing training at Chicago’s Michael Reese Hospital, but she had to return to her family's home in Rockwell City, Iowa due to her Grandmother’s declining heath. During this period, Madlion was corresponding with a friend’s cousin, an enlisted man, Robert “Bob” Lowell Johnson. They had dated a couple of times when he was home on leave. On one such occasion, Madlion had taken a bus from Rockwell City to Storm Lake, in the middle of a blizzard, to meet Bob while he was home. Bob proposed to her during that meeting, and took her back with him to Astoria, Oregon where he was stationed as a Pharmacist First Class. They were married there on July 6, 1944. Until the end of the War, Madlion lived in Astoria or San Francisco depending on where Bob was stationed. After the war, Madlion and Bob returned to the Midwest. Bob was finishing classes at what is now Park University in Parkville, Missouri. The couple later moved to Kansas City, Missouri, and Overland Park, Kansas where they made their home. Between 1947 and 1954 they had 5 daughters: Gayle, Cheryl, Kathryn, Deborah and Susan. In 1955, Bob finally got a son Clifford. Madlion became a grandmother for the first time in 1971 with the birth of Gayle and Ham Lyon’s son Brent. She had a total of 11 grandchildren: Brent, Kelly, Todd, Amy, Chasity, Dannelle, Tiffany, Jason, Shelly, Tara, and Robert. She had 20 great grandchildren: Kaitlyn, Josh, Zack, Madelyn, Sarah, Taylor, Tyson, Adriane, Bria, Anthony, Tyler, Lily, Daisey, Macie, Ethan, Quinten, Shyann, Jayni, Michael and Matthew. She even became a great great grandmother, to Brady, son of Adriane. Madlion was crossing guard and parking attendant for 16 years with the Overland Park Police Department. She also did a lot of work supporting her husband and his students at the Kansas School for the Blind. Later in life she worked as a dressing room attendant at Loehmann’s Department Store in Overland Park. Madlion loved being with her family. She had a strong faith, and attended Holy Cross Lutheran Church in Overland Park. She was a lover of animals and was never without a pet. She leaves behind her beloved Buffy #2. She frequented the local casinos with her son-in-law and good buddy Jim Holler. 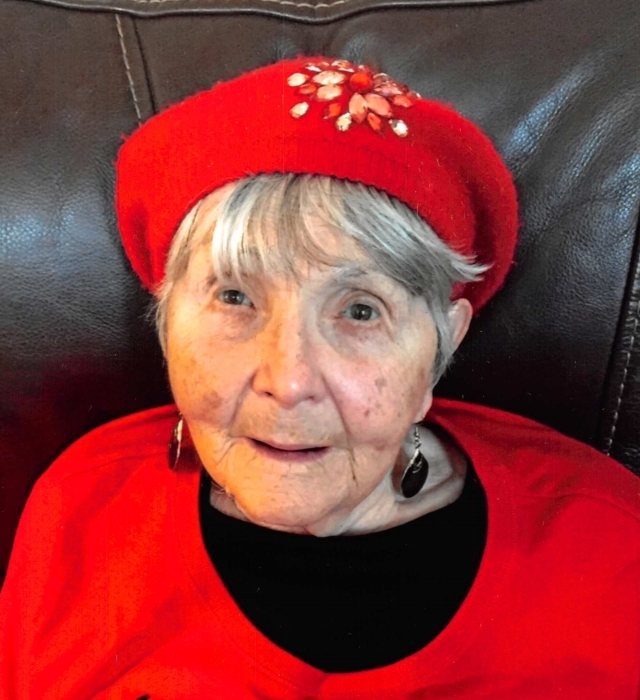 She loved to travel, and would frequently visit her family across the country. She was preceded in death by her husband of 35 years, Robert Lowell Johnson, her parents, her younger brother Harold, her daughter Susan Holler, and her son in law Jim Holler. She is survived by her brother, Harold McCluskey, niece and nephew Sandra McCluskey and Bryant McCluskey; children Gayle Lyon (Ham), Cheryl Johnson, Kathie Smith (Terry), Debbie Mills (Craig), and Cliff Johnson (Margaret), grandchildren, great grandchildren, and great great grandchild.